On October 17, Canada will begin a new era of decadence. From that day on, cannabis – aka marijuana and pot – will be legal. And it’s all happening without public objection or even complaint. And without Justin Trudeau’s Liberal government bothering to make a compelling case for why it is legalizing a drug with such a long and negative history that sensible people long ago banned it as a clear and present danger to their society. But that was then. 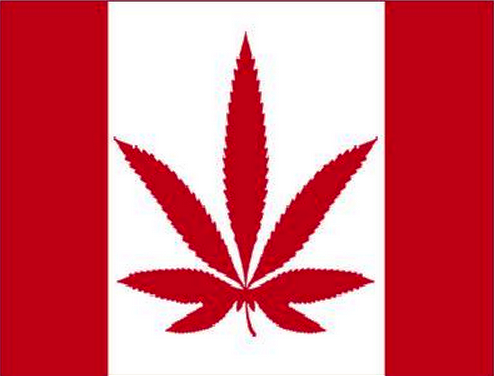 Now, by dismantling key aspects of the Criminal Code that ensured prohibition for 95 years, the Trudeau Liberals have legalized recreational marijuana possession, home growing and sales to adults, with the practical details of implementing legalization being left largely to the provinces and territories and making Canada second only — after the small South American country of Uruguay — to fully legalize the drug for recreational purposes nationwide. Speculators have jumped on the bandwagon with glee, hoping to make a fortune from the hedonistic appetites of their fellow human beings, and heedless of the damage this drug has been known to cause – lack of motivation, depression, paranoia/anxiety, addiction, increased appetite, memory impairment, dizziness and respiratory problems. And despite the research done in Sweden, Germany and the Netherlands showing that heavy cannabis use by age 18 increases the risk of schizophrenia six-fold. While cannabis is not the most dangerous of drugs, as with alcohol “it has a lot of harmful effects,” says Dr. Harold Kalant, a professor of pharmacology at the University of Toronto who has conducted research on alcohol and cannabis since 1959. Cannabis use in Canada has also increased significantly since the 1990s, particularly among 18-29 year-olds. And its greatest danger is addiction. Which is why cannabis was listed as an illicit substance under the Act to Prohibit the Improper Use of Opium and other Drugs as far back as 1923. It has also long been understood as a “gateway” drug, meaning it often leads to the use of stronger drugs. In fact, most drug addicts will openly admit they started their descent with cannabis. Call me negative, call me pessimistic, but all the short term and long term consequences of this ill-researched, ill-prepared move appear to bode badly for Canada. So I must ask: Why is the Canadian government doing this? What good can possibly come from this? Particularly when its potential for real damage to the moral character of Canada – already badly damaged by liberal permissiveness – seems limitless? This begins with the weakness of human nature itself – which is always curious – increasing the risk. Doesn’t this sudden permission to try a once banned substance constitute a powerful temptation? Won’t Canadians who never considered trying cannabis simply because of its potential for criminal prosecution and shame be tempted to try it? “Everybody’s going to be on it,” a highly experienced GP told me, his voice a monotone of resignation. Most Canadians are well aware that the movement for legalizing cannabis has long been underway. And that it is based on specious arguments, particularly the one that says police services are so overtaxed by their having to arrest so many illegal users that wouldn’t it make more sense to legalize a substance people are going to use anyway? There’s that slippery slope again … And its immediate results will soon be with us. How soon? As the winter months pass into spring, Canadians will be increasingly reminded – perhaps even daily – of the folly of Bill C-45. Particularly when they are confronted regularly with that distinctive sickly sweet smell emanating from places they never imagined and from places that may prove difficult to escape. This will be the smell of an entire nation in decay, a self-centred nation losing its will to live, at least in a constructive, responsible, worthwhile, God-centred manner. This will be the smell found in crashed cars with needless casualties. This will be the smell that may prevent Canadians from crossing the border into the U.S. This will be the smell of young teens and millennials losing their ambition, their nervous systems perhaps permanently impaired, as they drift helplessly into empty days of doing nothing while planning their lives around their next joint, their next pot-laced brownie, their next pot delivery whatever, of which there promises to be many. That attitude is no accident. It’s the result of the long process which the late columnist and psychiatrist Charles Krauthammer described as “defining deviancy upwards”. After decades of liberal activism, such issues as child discipline and racial or sexual discrimination have now been upended and redefined so that behaviour once thought normal is now identified as blameworthy, even criminal (having been redefined as child abuse, racism, sexism). Thus, middle-class life of the 1950s and earlier is now portrayed as oppressive and shot through with odious pathologies. “As part of the vast social project of moral levelling, it is not enough for the deviant to be normalized,” Krauthammer wrote. “The normal must be found to be deviant.” This is how underclass values such as illegitimacy and cohabitation have become acceptable to the middle class, especially their young, while middle class values, such as marriage and monogamy, have become increasingly contemptible to the cultural elites. When did this process begin? In the 1960s with the widespread smoking of pot among university students. This was the public signal of the contempt of these postwar babyboomers for their parents’ values and their rebellion against them. So were the guitars and all the utopian nonsense that went with them. Which is why, Krauthammer would argue, the distinctive features of Western civilization – once governed by a strict and functional Judeo-Christian ethos – are now sliding into a modern, high-tech Dark Age with all the current cultural and social degradation following in its wake. Meanwhile, Canadians not sleep-walking have been witnessing all this, taking note and becoming alarmed. Particularly with the escalating lawlessness in big cities such as Toronto where the murder rate this year alone has been skyrocketing. This while police, hampered by politically correct policies, continue to lose their power and political support to properly and effectively keep the peace in the streets. Hence the facile argument that legalizing cannabis will free them to tackle “more serious” issues, which is just another part of the predictable consequences that come when the natural law is abandoned. In his sobering book Life at the Bottom, Theodore Dalrymple, a physician who has worked with drug addicts and criminals in London hospitals for decades, charts the moral decline of police forces in general as a direct consequence of liberalism. In Dalrymple’s view, police on the beat in the UK are often moved to pity criminals from deprived backgrounds, and therefore often fail to charge them, as do judges who fail to sentence them. Which, on the surface, appears so kind, so merciful. But is it? The result is not a kinder, gentler nation, but a confused and chaotic morass, Dalrymple concludes. I ask this because in the 1960s when I was growing up, smoking pot was not merely a smoke. It was a rebellious act, a raspberry to the Judeo-Christian world and all its rules and constraints. So, in that context, may I further ask whether legalizing pot is just one more rebellion against that Christian world and the natural moral order on which it stood – a rebellion still masking as freedom? Freedom to alter reality by doping the senses; freedom to anaesthetize conscience, freedom to feel good without doing good and having the potential for lots of harm built right in? And in the name of what exactly? The potential for enormous harm is obvious but where’s the good? In some cases, medical marijuana is being used by patients with such afflictions as MS to relieve their pain. A proper use. Yet, for perfectly healthy citizens, what’s to recommend it? And the mental, physical and moral sloth it may induce? Ironic, is it not, that in a nation where cigarette smoking has been so thoroughly stigmatized for health reasons and where so many politicians ‘virtue signal’ that they ‘care’ in one bogus way after another, that these same politicians are now supporting the use of a substance that too often lands teenagers into mental facilities with brain damage? So where’s the virtue in making a controlled substance strong enough to assist the sick — and known to be addictive — available to the healthy? Of course, Justice Minister Jody Wilson-Raybould has the answer: The Liberals’ progressive policy will now replace the failed model that made criminals so rich! So that makes it all right then that cannabis will now come from the four plants you’re allowed to grow in your home. Or the 30 grams you’re allowed to purchase from a government controlled dispensary, thereby generating a revenue stream that may turn Queen’s Park into the largest legal pot dealer in Canada — and maybe the world. Thereby providing a potential cash cow as federal and provincial governments go broke over their socialistic schemes and ideological flim flam. This is good? What am I missing here? I did notice this, however. The start date for all this misbegotten madness is October 17. This was precisely the day in 2010 when Brother Andre was canonized. And since there are no accidents with God, this is undoubtedly a timely choice for Canadians too begin offering daily prayers of intercession to one of Canada’s patron saints to save our beloved, now deeply addled, land.